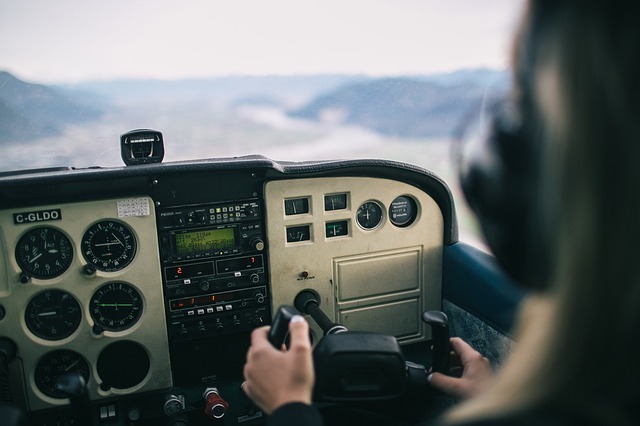 It is not a big secret that before somebody can get a license the aspirant will need to spend more time and money, but if youâ€™re still brave enough to face this great challenge then here are the ways on how to become a private pilot. Most people say that becoming a private pilot is an investment. Yes, this is definitely true and the aspirant should accept the reality that without money you can never reach your dream to fly an airplane. It is not like a car that you can learn how to drive from your parents, and it is not a bike that is widely available. In spite of this, many are still aspiring to become a private pilot no matter what it takes. Who will never forget the day driving an airplane without an instructor sitting aside? This unforgettable experience is just only one of the rewards when someone received a private pilot license, aside from having the privilege of driving other types of airplane and to different places as the pilot desires. So, if you pretty much interested to pursue a career as a private pilot then we will guide your journey to the skies with the steps on how to get your license as private pilot. Since pursuing a career as a private pilot requires a substantial amount of money, the first question that an aspirant asks is how much would be the cost in completing the course. It was estimated that a private pilot student will need a budget of as low as $5,000 and up to $8,000, but this calculation is only an estimate and the actual cost varies depending on the flight school and the length of the course. It can also exceed up to $10,000 since the student will need to pay for the instructor’s fee, testing fees, insurances, medical evaluation fee, pilot supplies, books, and plane rental fees. Another big factor that affects the total cost is the cost of fuel which is continues to rice from time to time. Don’t lose hope because there are available loans and scholarship programs for the qualified aspirants. The FAA medical evaluation is very important for the candidate to fly solo. Therefore, before you take the training in a flight school and start paying the fees, you should get the result first of the medical evaluation. It is very disappointing that after you have spend some money then you have learned that you failed on the physical exam, this is waste of time and money on your part. And also, the student is required for a training time of 40 hours but the current average time has been adjusted to 55 hours by FAA (Federal Aviation Administration).